In the first of a new series focusing on city eco-systems, TechCrunch Editor-at-large Mike Butcher gets under the skin of one of Europe’s hottest startup cities. During the last financial crisis Portugal was one of the hardest hit countries in Europe. After a long post-war dictatorship until the 1970s, and a slow economic emergence during the 80s and 1990s, the 2008 global recession was a body blow to the country, alongside Italy, Greece and Spain. But then something unusual happened. Like a welter-weight boxer, it started to use its small size in its favour, punching above its weight in a counter-attack led largely by its young people. They realised that they would have to use entrepreneurship as an engine to create their own future, if they were to survive. Inside cafes and the Fado bars, laden with ancient Portuguese tiles, they looked to the Web. And made their plans. Being thrown into the fire of an economic recession made for a much more dynamic culture that many observers had typically come to expect from a southern European country. When the country had to turn to the European Union for a bailout in 2011, Portugal was forced to implement harsh austerity measures. Some 485,000 Portuguese, particularly young university graduates, left the country during the crisis to try to find opportunities abroad. They went to Germany, Brazil and even to the former African colony of Angola. Around 60 percent returned. Today the unemployment rate has fallen from 17 percent in 2012 to 12 percent. Meanwhile, the government raised taxes significantly, liberalized the labor market, laid off civil servants, reduced salaries for public workers as well as pensions and social services. But the crisis also unleashed a new creative energy from within the Portuguese psyche. For instance, a new center for artists was opened at the foot of the fortress looks over the city. And the EU’s Committee of Regions bestowed the city with its “European Entrepreneurial Region of the Year” honor for 2015. There are reasons behind the success story. People are well-educated in Lisbon, and salaries are lower than in other European metropolitan areas, as are living costs. A luxury hostel whose name says everything about this new spirit: The Independente. It looks out over the throng of colorful buildings on Castilo Hill. And startups are based in old buildings with beautiful tiled walls in the cobblestoned streets of downtown Lisboa. 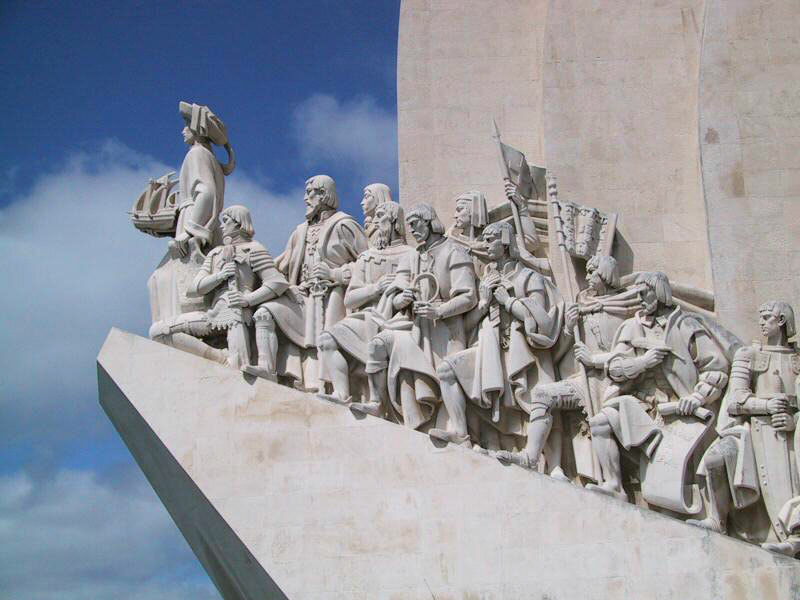 And Portugal’s long history of maritime exploration and discovery didn’t hurt. Striking outing new territory is in the Portuguese DNA. And they had something else that was a crucial ingredient. Something that their Southern European cousins didn’t have: a in-built facility with the English language. It was not only taught in schools, but unlike neighbouring Spain, which has a large population and can therefore bear the economic cost of having English films and TV shows translated, little Portugal could not. This familiarity with English is a huge strength for two reasons. Firstly, this made Portugal able to trade internationally more easily. And secondly: the average taxi or Uber driver as well as the average government worker speaks English, something you won’t find in Barcelona or Madrid. Suddenly, it’s far easier to access as an ex-patriot entrepreneur, come to create a business in the sunny climes of the Portuguese sun. 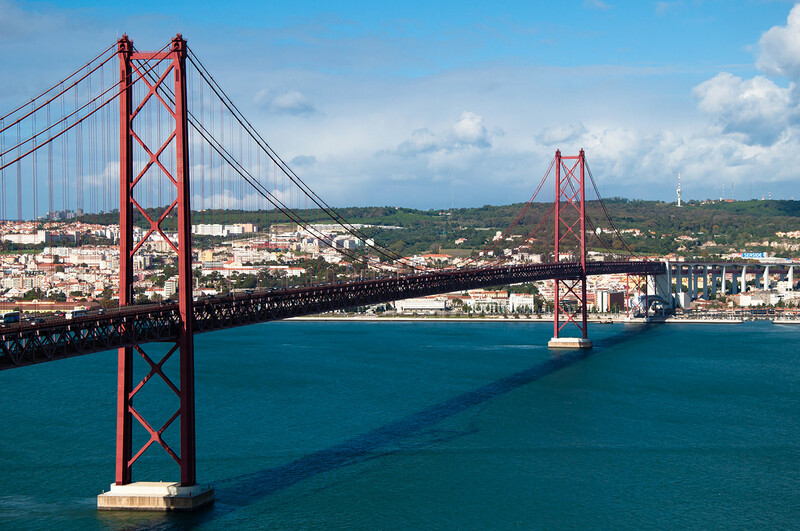 Lisbon boasts an iconic suspension bridge which looks like the Golden Gate Bridge, bronzed surfers, trams, hills and a vibrant technology industry. Remind you of somewhere? Today in 2017 Lisbon scores well on access to talent, affordable housing, and adequate public transportation (not to mention weather). And let’s not forget that the Bairro Alto is a historic picturesque quarter dating from the 16th century, who’s streets are lined with small restaurants, Fado-playing bars, pubs and cafés, which are quiet during the day, but transformed at night into the city’s vibrant nightlife quarter. Beautiful old venues stand side by side with striking contemporary additions. But the city is re-animating these venues, such as the 16th-century Palácio de Pombal which now annually houses the Lisbon Investment Summit. No surprise then that the European Digital City Index lists the top key features in Lisbon as the low-cost of living and the high quality of life. Another factor has played into the city’s hands: Because of the country’s small population, Portuguese startups launch with an eye on international expansion from day one, continuing the tradition of this small, seafaring country. In that respect it’s far closer to the United Kingdon in mindset. It’s these combination of factors that is leading to an explosion of startups in Portual and Lisbon in particular. You could say this is becoming the ‘Berlin of the South’. In 2016 VCs invested only $18.5 million in nine deals, according to Preqin, a global investment research company. Although these numbers are small by comparison internationally, this represented a sixfold jump from 2015. 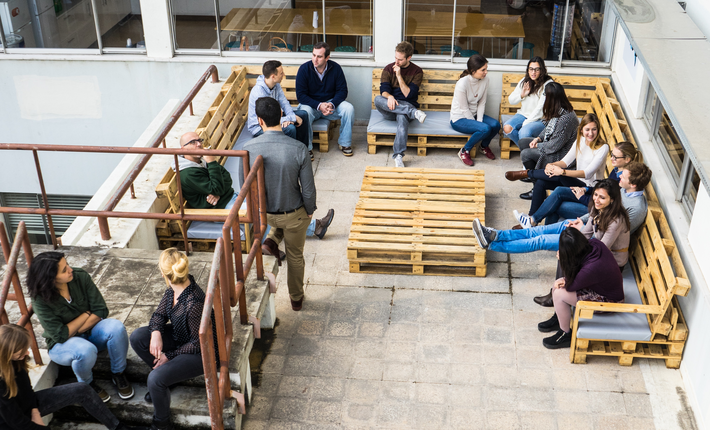 And a 2016 study backed by Allianz Kulturstiftung, the German insurance company’s foundation, ranked Lisbon as the fifth-best-performing startup community in Europe, ahead of such stalwarts as Stockholm and Dublin. Lisbon also scores well in terms of its “global creative class”, as coined by influential academic Richard Florida. Creative industries are a massive driver of economic growth today, and led to the rejuvenation of London’s East End. But London’s huge price hikes in recent years (and let’s not even go into Brexit) has left it with a growing problem. The latest statistics show more young people are moving out of London than at any time since records began, because of the cost of housing, which has seen rents rise much faster than salaries. Some 40 per cent of London’s music venues have closed in recent years. In the US, New York creatives and San Francisco tech entrepreneurs are moving in droves to Los Angeles, where it’s cheaper to live well, and in a city with a great art and music scene. And while Berlin continues to pull in these creative classes from more expensive parts of Europe, many are now looking to Lisbon as an alternative. This year, for example, Europe’s largest technology conference, the Web Summit, will hit the city for the second time, having attracted over 53,000 people to it in 2016, and proved the city can hold those numbers and survive. Some traffic congestion, a strained Metro and a handful of logistical issues at the venue won’t be enough to stop Web Summit from remaining in Lisbon until 2020. And the deal could be extended by a further two years. More than 53,000 people from 166 countries, among them 15,000 companies, 7,000 CEOs and 700 investors, flocked to Lisbon for the event, which was said to generate more than €175 million in revenue for the city, dwarfing the €35m Web Summit was rumoured to have brought to Dublin, where it started. Having pulled off such a huge event, literally showcasing the city, it’s fair to say even more will come in 2017. Second Home, perhaps the ultimate statement in creative class spaces, was announced for the city last year, but really gets going this year, opening up in the hippest quarter of the city. It will be housed inside the Mercado da Ribeira, joining a number of co-working and artistic spaces in the city including Coworklisboa and Village Underground Lisboa. The latter – linked to Shoreditch’s iconic Village Underground — will be made out of shipping containers and disused buses. Furthermore, Factory, which created a number of iconic startup spaces in Berlin, has also put down rots into the city. At the same time international startup accelerator Startupbootcamp is rumoured to be arriving, as well as ImpactHUB. In fact, a strength – not a weakness – of the Lisbon startup scene is that it’s not just about Portugal or Lisbon. Indeed, it’s no accident that a London-based Second Home might want to expand there. 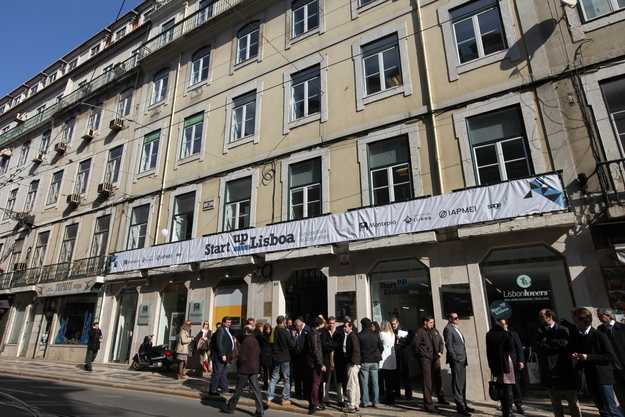 The six-story Startup Lisboa building started as the city’s main startup hub, which from 2011 has acted as the city’s founding startup incubator. Around 60 companies are based out of the six-story building where regular events and workshops are also held. Startup Lisboa is an NGO with support from the public sector (Lisbon Municipality) and the private sector as well. The organization has supported more than 180 startups since it started. Fábrica de Startups, a four-year-old accelerator, is headed up by António Lucena de Faria, and concentrates on startups from Portuguese-speaking lands such as Brazil, Macao, and others. In March it will run “Tourism Ideation Week” to create startups for its five-week Discoveries accelerator program this summer. This will be the first Portuguese outpost of Impact Hub, whose global network of socially-minded co-working spaces spans some 70 cities. It’s arriving in an abandoned pavilion in the Beato Marvila district, with desk rentals on offer for up to 300 entrepreneurs for a paltry €80 euros a month. And Beta-i, which runs Lisbon Challenge, has taken over a huge former post office building in the heart of the city. Spread over several floors, this is likely to become a super-hub for startups in the region. It’s also just announced that its merging with Tetuan Valley, a Spanish accelerator, creating an Iberian accelerator and using European Innovation Academy (Berkeley + Stanford) methodologies in Lisbon. The ties between Lisbon, London and other European cities are actively being cultivated by some of the city’s movers and shakers. For instance, you will often see Alexandre Barbosa, co-founder of Faber Ventures grabbing coffee with fellow VCs in London. Or Beta-i’s Pedro Rocha Vieira or Ricardo Marvão taking its latest crop of startups on a roadshow to London’s Google Campus, precisely because Lisbon is forging close ties with London startup megacity. Or Filipa Neto, CEO of Chic By Choice, attending London Fashion Week. At the same time you might well bump into Felix Petersen, also of Faber, in Berlin, where he is doing a roaring trade attracting talent down from Berlin to Portugal’s capital. Or perhaps you could run into Stephan Morais of Caixa Capital, shepherding a number of young Portuguese startups around Davos (one of the only countries to do so). You may also grab coffee with tech PR and startup adviser Clara Armand-Delille, in a coffee shop over-looking Lisbon’s waterside key, or perhaps in a Parisian cafe. These things are not happening by accident and these ties with the European ecosystem are getting stronger by the hour. And the national and city governments are actively encouraging this wave of internationalism, which is in part leading to the Portuguese ‘diaspora’ from the recession returning, as well as ex-pats starting to populate parts of Lisbon. The government has been almost relentless in making it more appealing to returnees, with tax breaks, residency programs and easier bureaucracy. The Municipality of Lisbon has been bending over backwards to incentivize entrepreneurs to start their companies in the city. These incentives include a reduced tax rate for startup businesses, which can be as low as 7.5 percent, while investments of up to €5m can enjoy tax deductions of 20 percent. Corporate filing red tape, too, has been simplified to a simple online process. A few years ago when the Mayor of Lisbon was asked by a local accelerator about easing access to office space he simply handed over 30 year leases for disused municipal buildings. A key startup advocate is the affable João Vasconcelos, the former head of Startup Lisboa, who has long championed the scene and is now in a key position of power as the new secretary of industry within the Portuguese government. The Portuguese startup community has also not sat on its hands, producing regular blogs and media out of the tech startup scene, and even creating its own Startup Manifesto. The government responded with “Startup Portugal”, a national public strategy to foster entrepreneurship and promote local startups internationally. It was at Web Summit that Portugal’s Prime Minister António Costa launched a €200 million ($220 million) fund to co-invest alongside VCs in local startups and foreign companies that relocate to Portugal, doing it with 150 local founders standing behind him. The message was very plain: come to Lisbon and found your company there. Any venture fund around the world is eligible to request matching funds for a single investment as long as the startup is located in Portugal. The funds will be called “200M” (it’s 200 million euros) and is part of a bigger push to put $440 million overall into the country’s tech scene over the next two years. Bringing Web Summit over from Dublin was part of that effort is well. Lisbon was the first European Capital of Entrepreneurship in 2015, which led to a whole slew of initiatives such as the “Empresa na hora”, which allows anyone to create a new business inside an hour online. With Brexit looming over the horizon, after the UK government formally voted to trigger Article 50 to leave the European Union, the question is, will companies start to form in EU nations like Portugal more readily? And will Lisbon join the ranks of Dublin, Amsterdam and other EU cities as a startup hub? The simple answer is yes, given that the UK will lose part – if not all – its attractiveness as a springboard for expansion in Europe. According to VC firm Balderton, over 40 percent of the founders of British startups earned university degrees outside the country, which makes them far more likely to move around anyway (something apparently lost on the government). The quality of engineers is great in Portugal and the competition for talent is still limited (with 31% unemployment for under 25s, working for a startup sounds like a great option). A government program called Inov Contacto sends a few hundred Portuguese graduates each year across the world to work inside companies abroad, thus broadening their international ambition and operational experience. Portugal also has a draw for the intellectual diaspora that was previously educated abroad, and now hankers after the old country. After their stint at Stanford, or Goldman Sacs, there is a cultural bond that leads people to want to come back to Lisbon. The fact that developer costs are much lower in Portugal has not gone unnoticed. Portuguese entrepreneur Carlos Silva and US-born partner Jeff Lynn launched their crowd equity platform Seedrs in London, but decided to base their engineering talent in Portugal. That means the country is joining the ranks of Barcelona, Munich, Vienna and others as engineering hubs. But whereas these have plenty of talent, what they don’t have is common use of the English language in every-day life. That makes doing business easier and also attractive for moving into the city from abroad. Portugal now has a budding set of hometown heroes. From Jose Neves of Farfetch, to Henrique de Castro of Google/Yahoo fame to Carlos Silva of Seedrs. Early stage funding generally comes from Beta-i to Faber to Portugal Ventures as the most visible and active local funds with Caixa being an active player in direct investments at later stages. More importantly non-Portuguese funds are leading significant rounds in Portuguese based companies. Lisbon/London based Seedrs recently has raised £7.5M from Augmentum Capital and Woodford Patient Capital in London. Unbabel went from Lisbon to Y Combinator and walked out with checks from Google Ventures and Codacy won the 2014 Web Summit competition. And Rocket Internet has quietly built its own operations center with several hundred employees in Porto. The investors based in Lisbon include: Beta-i; Faber Ventures; InterCapital; Busy Angels; Portugal Ventures; and Caixa Capital. Faber Ventures was founded by Alexandre Barbosa. According to him its part startup studio, part investment platform. They’re managing €11m as a first pre-series A fund, and do typically 200-300k Euroos as first ticket (100k if pre-seed) and have always followed on in series A as co-investors. They have 19 companies in the portfolio and are now raising for a second vehicle, while still doing investments. Lisbon Challenge, operated by Beta-i, has been acknowledged as one of the top five most active investor programmes in Europe. A number of startups have emerged from it to join the likes of TechStars, Y Combinator and Seedcamp. And 40% of those coming out of Lisbon Challenge have secured VC investment, increasingly from the US. The Lisbon Challenge conference is hosted on the banks of the Tagus river in a former warehouse. Meanwhile foreign investors visit the capital frequently to see what’s going on, with Web Summit now being a perfect annual opportunity to check in on the city. There are no less than seven Seedcamp companies from Portugal: Simpletax, Codacy, Hole19, Crowdprocess, Cashtag, Zercatto and Popcorn Metrics. Government Investment agency Portugal Ventures has a €450 million fund focusing on investments in innovative tech companies as well as startups in more traditional sectors. So far it has 105 Investments in 96 Companies. Then there is the BGI (partnership MIT-ISCTE), an international accelerator directed at tech entrepreneurs, startups & spin-outs. Finally, there are the startups. Portugal did not start from scratch. Long before Lisbon became the trending tech hub, there already were many tech related companies in Porto and Coimbra, for example. But Lisbon brought to the scene the inspiration from tech hubs such as the ones in London and Berlin. But now the city is producing solid startups almost from scratch. After turning down a job at Google, Jaime Jorge co-founded Codacy with Joao Caxaria, to make algorithms which could automatically correct mistakes in software code for scores of businesses worldwide. They now work with global giants such ash PayPal and Adobe. Portugal’s best and brightest used to work for consulting firms in major capitals like London, but now they raise money locally and launch globally. It’s not as if Lisbon can’t produce big companies. Teleperformance is a global leader in outsourced call centers handling sales, support and all other functions of customer relations, and now employs 150,000 employees and has €2.4 billion in revenues. Meanwhile Porto is becoming a reference in the Portuguese ecosystem. Veniam, AddVolt, Hype labs (with Hype Labs going to AngelPad in the US) and knok healthcare – the uber for doctors – securing funding. Other startups have also seen the benefits of the city. Hole19 is an international social network for golfers. Uniplaces allows students to book housing across Europe. Feedzai uses machine learning to automatically spot fraud for clients globally. CrowdProcess has an AI platform that enables hedge funds and banks to predict when fixed income assets will default. This has raised $28.94M in 4 Rounds from 8 Investors. Uniplaces is creating a trusted, global brand for student accommodation. With Uniplaces, students can book easily and safely – as the Uniplaces team verify every student home on the website. Has raised $1.6M in 2 Rounds from 6 Investors. Codacy is an automated code review tool that helps developers save time in code reviews and manage technical debt. This has raised $2.11M in 4 Rounds from 3 Investors. Tradiio is a music app for web and mobile which blends streaming with direct-to-fan recurring payments for artists. This has raised $4.91M in 2 Rounds from 4 Investors. It’s an independent Android app store that allows developers, OEM, telcos, and integrators to create and manage their own Android store. This has raised $1.89M in 3 Rounds from 3 Investors. Muzzley is your intelligent single entry point for your connected devices. The system predicts your actions with your connected devices. Backed by Faber and Portugal Ventures to the tune of more than $800,000, this is supporting online stores by turning them into social shopping networks. iOS / Android app for fashion-conscious ladies (mostly) who want to discover the latest and greatest trends in what to wear and what not to wear. Lets you rent out high-end designer dresses for a small percentage of the retail price. CEO Filipa Neto could operate anywhere in Europe, but spreads her time between London and Lisbon. She’s raised half a million euros in venture capital to send Haute Couture all across Europe. An ecommerce platform connecting fashion-conscious clients with a global network of high-end boutiques and founded by Jose Neves in 2007, Farfetch has raised more than $304.5M in 6 Rounds from 15 Investors. These include Advent, e.ventures, Index and, most recently, Conde Nast and Vitruvian Partners. Farfetched is Portugal’s biggest (recent) startup success so far. Known in the Portuguese market as “MEO music” due to a white label deal with the dominant Portugal Telecom. It has a TV app, enabling customers to watch music videos and create video playlists on their TV’s. They are teaming up with Samsung to collaborate in Africa. Backed by Seedcamp, Kima Ventures and Frontline Ventures this connects the web browsers of a large number of participating users and turns them into virtual supercomputers. Unbabel enables multilingual communication across 28 languages with a mix of artificial intelligence and a crowd of 50,000 mobile linguists, integrating with platforms like Salesforce, Zendesk, Mailchimp and Facebook Messenger. Vasco Pedro, co-founder and CEO of Unbabel started the company on a surf trip, and the whole company still hits the waves once a month. This wants to help farmers grow hydroponic plants in a smarter way, using a combination of hardware appliance, cloud-based data and AI. Talk desk has raised $24.45M in 4 Rounds from 5 Investors . Investors include Storm Ventures and DFJ. Co-founders Tiago Paiva and Cristina Fonseca raised the first round of cash by entering a developer contest. The company now has several thousand customers including DoorDash, Weather.com, Edmunds.com and Anki. This Portuguese fraud protection startup which has secured $26.13M in 5 Rounds from 8 Investors. It’s backed by Oak HC/FT, Sapphire Ventures and Espirito Santo Ventures. Their software identifies risk and blocks fraud earlier. Enhances Wifi by turning vehicles into hotspots. It’s raised $26.9M in 2 Rounds from 8 Investors. It was founded by João Barros, Susana Sargento, Roy Russell and Robin Chase, co-founder and former CEO of Zipcar. This offers a financial management platform for small and medium-sized businesses that makes day-to-day management lighter and financial planning more precise. In 2014, MagniFinance was one of the finalists of the International Acceleration Program Lisbon Challenge and won the Caixa Entrepreneurship Award, receiving an investment of €100,000 from Caixa Capital. They spent a year developing a platform that integrates web analytics tools without having to write a line of code. Cofounder Paul Boyce is an Irish national who fell in love with Portugal while on holiday and chose to set up his new business in Lisbon. He met his co-founder Luís Correia at a Lisbon startup event. This uses machine learning during live broadcasts to digitally replace billboards with targeted advertisements. Other Portuguese startups to watch include Zaask, TOPDOX, WIME, EyeSee, Zercatto, Prodsmart, Attentive.us, Liquid and Tradiio, LineHealth. Lisbon has good transport links – the airport is just 15 minutes by taxi from the centre of town – and fast Wi-Fi speeds add to its appeal. Lisbon’s has a genuinely low-cost of living. It’s around 75 percent cheaper than London. Which would probably make it about 50% as cheaper than Berlin. It’s unusual to pay much more than €1 for a coffee or beer, while grocery prices are nearly 25 percent less than other European cities. Lisbon’s universities, such as Instituto Superior Técnico, are now turning out entrepreneurs instead of corporate drones. Lisbon benefits from two major universities and one specialist polytechnic institute, which pump out up to 100,000 graduates a year versed in design, development, and programming. Indeed some startups have offices right by the universities for this very reason. Other than Web Summit, majors startup events in Lisbon include the Lisbon Investment Summit, both a conference and finale of the Lisbon Challenge accelerator. Also Productizeda product management event. Developers can also check out the Lisbon Scala Conference. • Liberdade 229 – Fun and friendly coworking place filled daily with an interesting crowd of differing backgrounds. • Entrepreneurs Break – An informal networking event set up with entrepreneurs to provide you with startup tools and insights. • Product Tank – An informal meetup that brings together the local product community in each of those cities. • Village Underground – A coworking and events space for creative activities in the heart of Lisbon. A short, sharp espresso in the capital will cost 60 cents to one euro. A railway line linking Lisbon to Cascais takes you to several broad beaches for sun bathing or surfing, inside 15 minutes. The world-class surfing is just up the road in Ericeira – the town regularly hosts a round of the international surf competition ASP World Surf Tour. Cascais has a village feel to it, and a short drive away in the hills are the Disney-like towers of the Sintra palace (and a lot of tourists). • The Beta-i Newsletter, written by Maria Almeida the “Almighty Duchess of Content at Beta-i. • Hugo Seneca, Impresa– Hugo is with the IT Magazine that leads the Portuguese market. • Ana Rita Guerra, B!T Magazine – Ana Rita specialises in technology for one of Portugal’s top magazines. • João Ramos, Expresso – João specialises in IT, telecommunications, entrepreneurship and innovation topics. • Café De São Bento – Great steak! • Pensão Amor – A really cool spot to grab a drink. • LuxFrágil – This is one of Lisbon’s biggest nightclubs, with three main areas, a club, bar and roof.